The holiday season comes with many emotions, from joy and excitement to stress and worry. Often times, this season sneaks up on us so fast that we run around with busy schedules and endless to-do lists. How are we even supposed to have time to celebrate all the cheer? 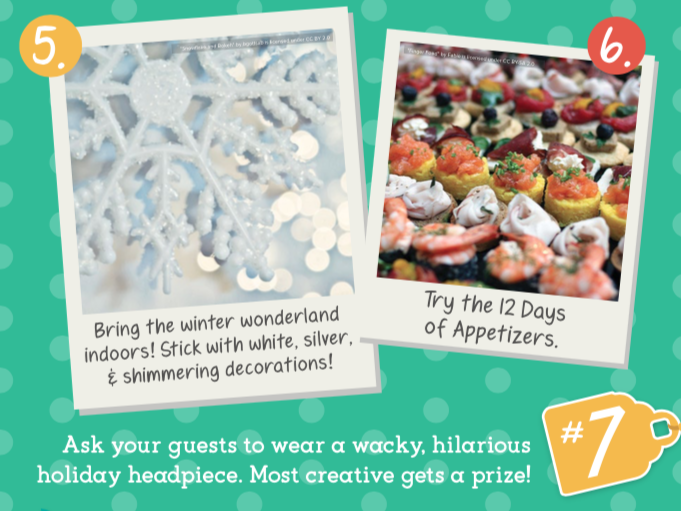 How about a holiday party! We know what you're thinking: Really? I don't have time for a party! 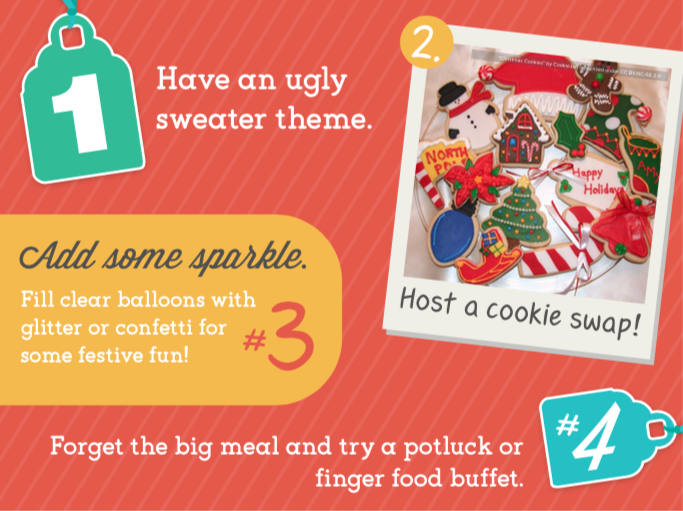 Don't fret - we've provided you with 101 holiday party ideas, so the planning is basically complete. Where should you start? Step one: Gather a list of all your friends and family you want to share this special season with. 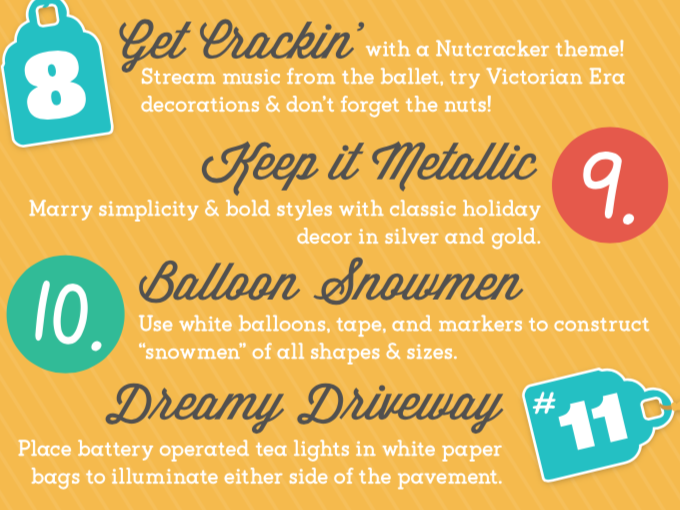 Step two: Pick out your favorite party ideas from our extensive list! 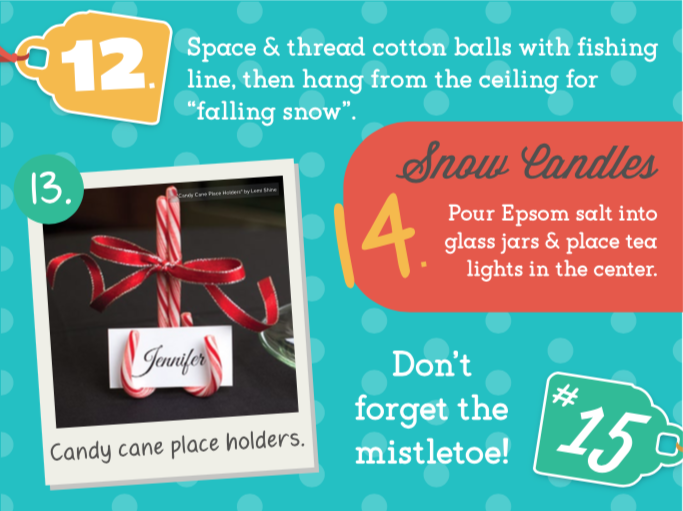 From detailed decor, such as a DIY glitter utensils, to yummy treats and a makeshift bar, there are endless possibilities. If you're feeling extra festive, you could adopt all ideas into one party! Plus, the tips and suggestions are suitable for guests of all ages. Our favorite idea? Having each one of your guests bring at least one canned good to donate to a local food bank. After all, it is the season of giving! There's no need to feel guilty to pause life and all the work that comes with it in order to spend time with those you love. We guarantee that after you do, you will feel joy like no other. Want to enhance your party-throwing skills? Use the coupon code LAMTHEHALLS to get 20% off all laminating supplies to easily preserve your party essentials, such as name tags, games and wall decor!